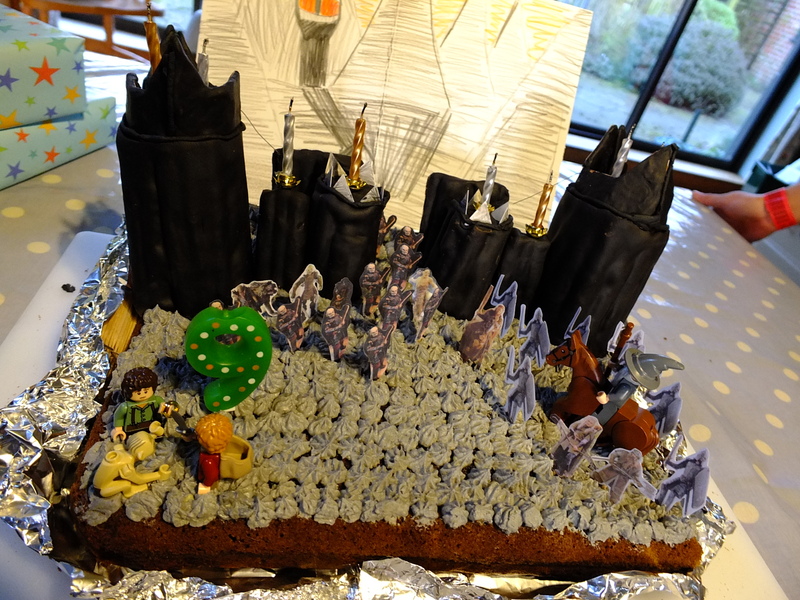 For Hamish’s 9th Birthday, he requested a Black Gate cake from Lord Of The Rings. This could well have been the hardest cake I’ve made so far as it called for architectural skills, which I don’t have! The towers were made out of cake, and the walls were chocolate cigarillos stuck with buttercream onto cardboard, then covered in black fondant so very, very rich (and bad for you!). The spike/turret things on the top of the towers are cardboard covered in black fondant. 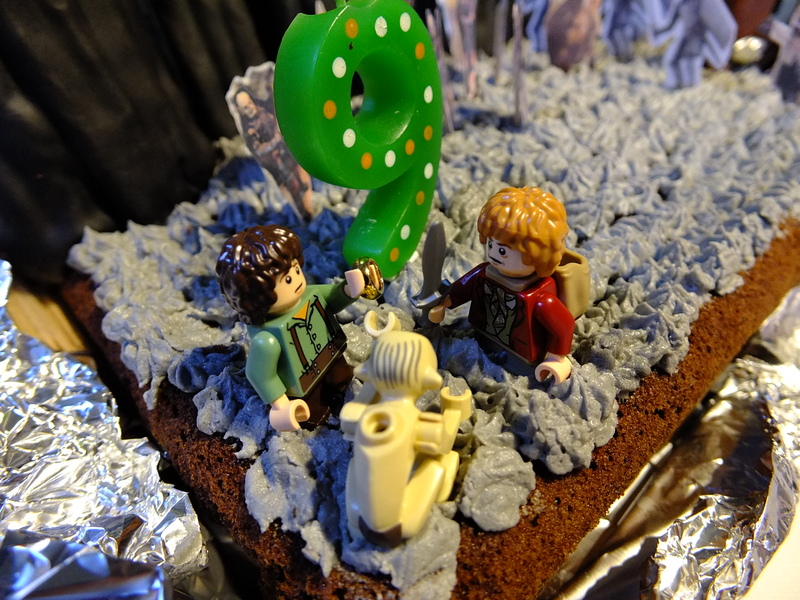 Mum bought some Lego figures (Frodo, Bilbo (we said it was Sam! ), Gollum and Gandalf), and after much annoyance on both sides and frustrating comments from his, Finnian finally got around to printing off some Orcs and ‘good guys’. They were the wrong size. Eventually he managed to print off the right ones and I laminated them – this was the morning of Hamish’s birthday. But again, Hamish’s reaction was worth the lazy, annoying, ‘cool’ older brother that Finnian was set upon being. Oh, and Aonghus requests me to add that he donated the back-drop.